My name is Amy and I am a Paralegal at a top 40 UK law firm called Shoosmiths. 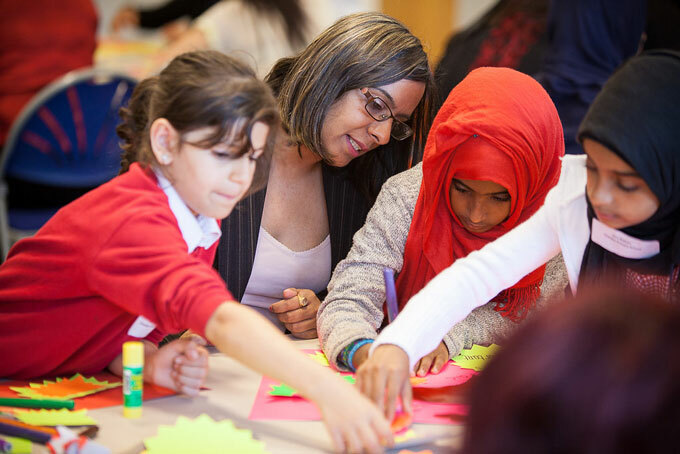 I first heard about Mosaic last summer whilst I was working at my previous firm and I have been a secondary school mentor with the charity ever since. As my previous firm had strong links with one of the secondary schools which Mosaic was actively involved with, they promoted the opportunity of becoming a mentor internally to all of their employees. My decision to pursue the opportunity of becoming a mentor with Mosaic was driven by two things; my passion to help people and have a positive impact on something outside of my working environment, together with my desire to develop my own self-confidence. Generally, most people would assume that a lawyer exudes self-confidence. However, whilst I have always had a strong sense of tenacity and drive; which I think has helped me get to where I am in my career today, self-confidence is something which has never come naturally to me. I therefore hoped that by getting involved in something which would ordinarily be out of my comfort zone, my self-confidence would inevitably increase as a result. My current mentees are a group of 30 year 7 students at Perry Beeches secondary school in central Birmingham. Each of the students was chosen by one of their teachers because they felt that Mosaic could help raise their aspirations and provide them with the life skills required to achieve them. The abilities of each of the 30 students in my mentee group ranges vastly and a number of the students have Asperger’s and autism. As such, tailoring lessons to each of their individual needs was never going to be an easy feat. Together with 4 other mentors, it has been my task for the last 5 months to visit the students once a month and teach a lesson planned entirely by ourselves on key areas such as self-confidence, self-efficacy and employability. Although I liaise with senior members of the legal profession on a daily basis within my current role, I surprisingly found the prospect of engaging with the students a very daunting prospect at the outset. However, I was able to find common ground with them almost instantaneously which meant that any apprehension I had quickly subsided. I was actually brought up in central Birmingham by my parents myself, therefore it was incredibly important to me that the students felt able to relate to me and my story and that they could see what I have been able to achieve from the same starting point as each of them. Last September when I was walking to my first lesson, I knew that if I could have a positive impact on just one of the students, then my time with Mosaic would be worthwhile. However, 5 months on and I can say that I have gained so much more than that. Not only has mentoring had a positive impact on my own self-confidence, but also my own sense of fulfilment. There is something incredibly gratifying about seeing a once timid student engage with you after just a couple of lessons and hearing a student ask when a lesson is over “when is our next lesson? I can’t wait.” I am currently loving the journey that I am on with Mosaic and although planning lessons around my full-time job has proven difficult at times (partly because I am such a perfectionist), I have revelled in the challenge of devising activities which I hope will continue to excite and develop the students. If I could give just one piece of advice to a young person to succeed, then it would be that you never fail until you stop trying. I have encountered an endless amount of hard work and rejection throughout the early stages of my career so far; being a young woman trying to enter the legal profession in today’s climate is not for the feint-hearted. However, I strongly believe that nothing worth having comes easy.